This easily-constructed new IKEA product could feed dozens of people in your very own neighborhood – and the blueprints are available for download free of charge. 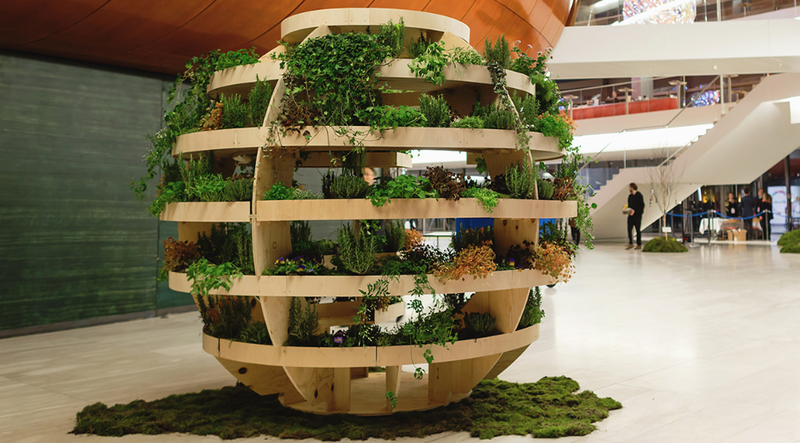 The Grow Room is an urban structure designed by architects Sine Lindholm and Mads-Ulrik Husumto in Space 10 – an IKEA idea lab based on coming up with innovative, groundbreaking solutions for the future. The designers hope that the Grow Room will encourage people to engage in growing their own food in sustainable, natural ways. Not to mention that the Grow Room brings the food of a farm to a city by taking up only a small fraction of the space. All one needs to make a Grow Room is some plywood, screws, a hammer, and a trip to a local public fab lab. According to Space 10, such technologies as 3D printing and cutting are as accessible as printers. Cities like Helsinki, San Francisco, Rio de Janeiro, and Taipei are all reportedly gearing up to construct their own Grow Rooms.